LAKE MACBRIDE— I gave the speech on nuclear abolition, representing Physicians for Social Responsibility, without notes. If the issues around nuclear abolition are not part of me now, they may never be. 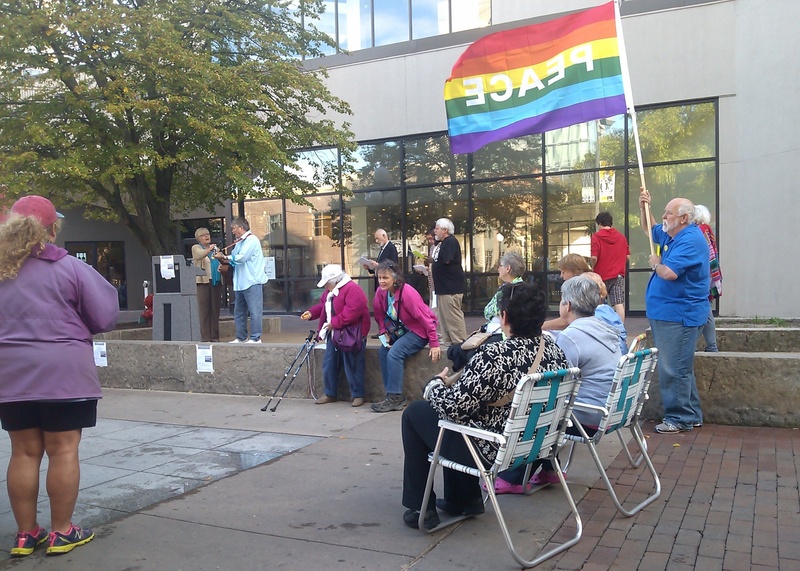 While fretting a bit beforehand about what to say, my five minutes on stage at the Iowa City Pedestrian mall on Sept. 21 went well without notes. The nuclear explosions at Hiroshima and Nagasaki are those we all know about. What is less considered is the more than 2,000 test explosions that killed thousands and sickened millions. I referred to the radioactive fallout from the Nevada test site that drifted and fell over Iowa, contaminating our soil. I spoke about President Obama’s commitment to submit the Comprehensive Nuclear Test Ban Treaty to the U.S. Senate for ratification. It was a promise made in Prague in 2009, and still not kept. President Obama will chair the United Nations Security Council this week, with the hope of passing a resolution regarding counterterrorism. The five nuclear club members on the security council won’t be debating nuclear weapons, but should. Obama had bicameral support for pursuit of the Islamic State in the U.S. Congress last week, and now he is rolling it out to the world. Finally, when we consider our biggest problems, Islamic State, Al Qaeda, Yemen, the Ebola virus, South Sudan, Pakistan, Afghanistan, Iraq and Iran, Palestine and Israel, the drought in California, and others, nuclear weapons won’t help solve them. Since we don’t need nuclear weapons for our biggest problems, let’s get rid of them, I concluded. It was a cool, crisp day leading into the autumnal equinox. While the actions of the aging crowd may not get done what should regarding abolition, it was good to see so many friends and try once again. This entry was posted in Nuclear Abolition and tagged Humanitarian Campaign, Nuclear Abolition. Bookmark the permalink.